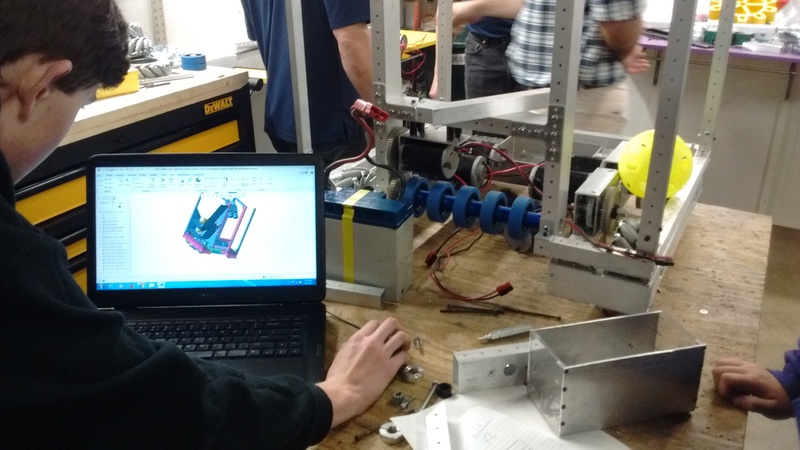 Week 3 has come and gone, and build season is halfway over! We met many of our goals — dashboard code, autonomous code, and vision code are all in working order. The robot frame is complete, and the fuel intake has been installed; our build team is working this Saturday to install our gear slot and climber onto the frame, and to finish the hopper. In addition, almost the entire robot is modeled in CAD. On Friday, we began drive team tryouts. 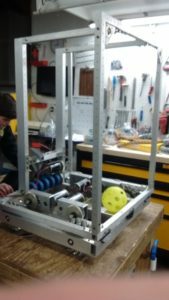 We had a couple people practice driving an old competition bot until we can use this years robot. Others took the human player/pilot test. We are still continuing tryouts since some students couldn’t make it on Friday.